I’m passing along details about the CSTA/ABI Equity Conference Scholarships. I attended the first of these, and I presented as part of a panel discussion last year. If you are interested in attending, CSTA and ABI have received grant money to provide travel assistance described below, but you must act fast. Applications are now being accepted for the 2011 K-12 Computing Teachers Workshop. 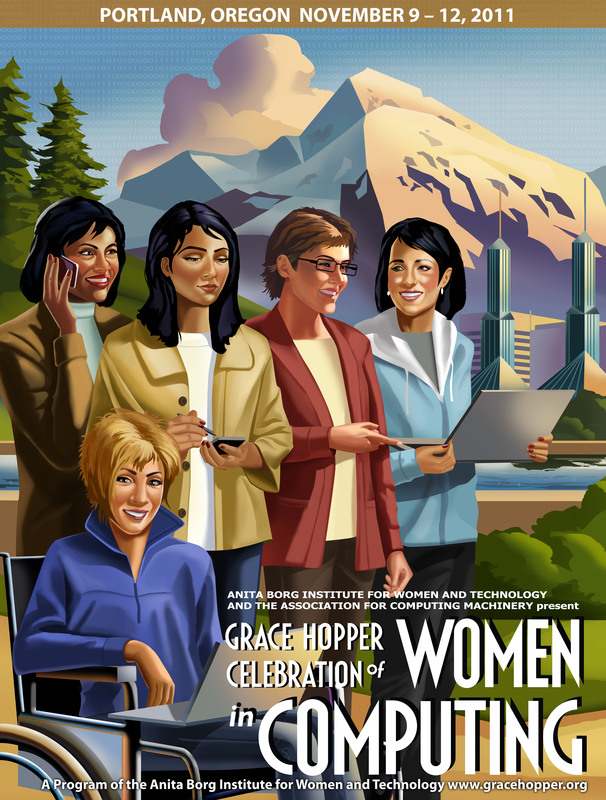 The workshop will be held at the Grace Hopper Celebration of Women in Computing Conference (GHC) in Portland, Oregon on November 11-12, 2011. The K-12 workshop is hosted in Partnership with the Computer Science Teachers Association (CSTA) and the Anita Borg Institute for Women and Technology (ABI) and will be the third K-12 teachers workshop held at the GHC. We hope that this year’s theme “Extending Our Reach: New Tools for Engaging all Students” will provide for a fun and engaging workshop. For details, reference the workshop agenda. Space is limited for the workshop. Teachers who wish to participate in the workshop and apply for a scholarship to support their travel costs must submit an application. The deadline to apply is May 1, 2011. All applicants will be notified on June 15, 2011. Registration for the workshop is $40 and includes Grace Hopper Conference activities. Registration costs will be waived for teachers who are awarded a scholarship to help support their travel costs. Scholarship awards (to be reimbursed after the conference) include shared hotel for 2 nights, airfare, ground transportation, mileage or gas up to the amount of the travel award. Participants who live less than 1 hour from the conference hotel will not receive hotel accommodations as part of their scholarship and are not eligible to be reimbursed for hotel expenses.